Comparing Six CNC Router Tables. 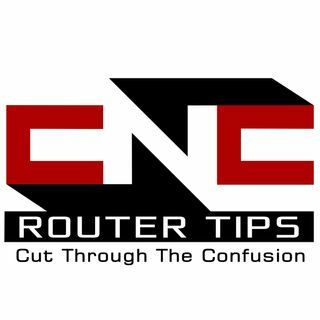 In this episode we discuss and compare six different CNC Router Tables. We examine the question asked by our listener James Trimble about differences in CNC Router tables, what they were designed to do and how they stack up against each other. Q: My question is regarding the differences between different levels of machines. I am currently building the mostly printed CNC which is an extremely low budget machine. But one ... See More that I think presents a lot of learning and hobby opportunities. My question is, what kind of limitations I will encounter in a machine like this. And what limitations and benefits will you find in different levels of machines ranging from other DIY builds like the Ox or Joescnc, all the way up to the full spectrum of commercial options such as the Stepcraft, Hytek Tools or even heavy industrial machines?. Also in this episode we talk a bit more about the VCarve Desktop giveaway to celebrate reaching 3000 members in the #CNC Router Tips Facebook Group. You can enter at http://cncroutertips.com/contest. Conduit is very inexpensive and generally made out of galvanized(coated) steel. Not aluminum. You can also get more expensive conduit made of stainless steel. I have recently built the MPCNC and would love to answer any questions. It's relatively slow, I generally cut around 700mm/s. Your comment about the conduit wearing was interesting. It's generally talked about as a good thing since that smooths the rails and reduces vibration. I haven't heard of them wearing down too much but I suppose it's possible. One could just rotate the conduit quickly and then get a bunch more life out of it.